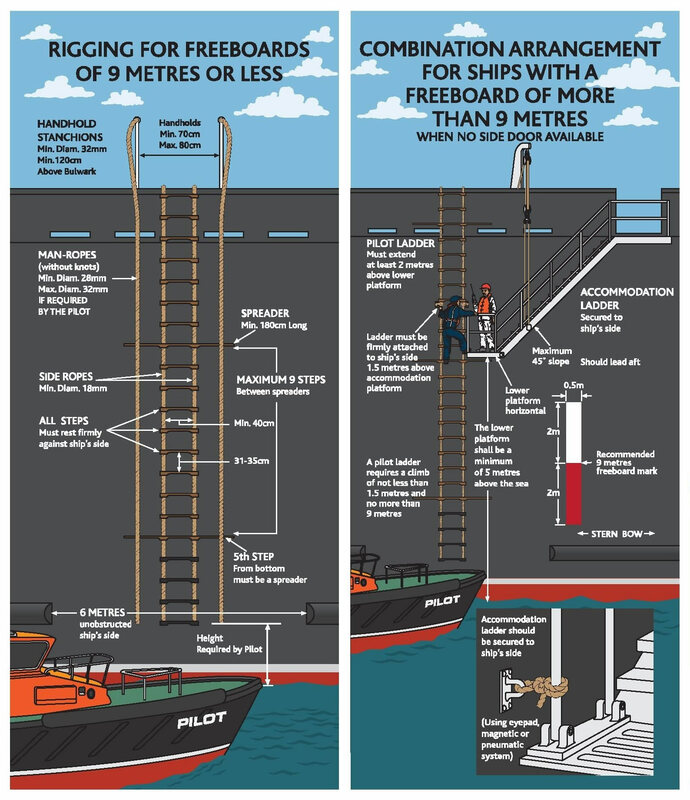 Pilot ladder is one type of rope ladder, usually made by hard wood and used for embarking and disembarking pilots. It is a important tool for marine safety. 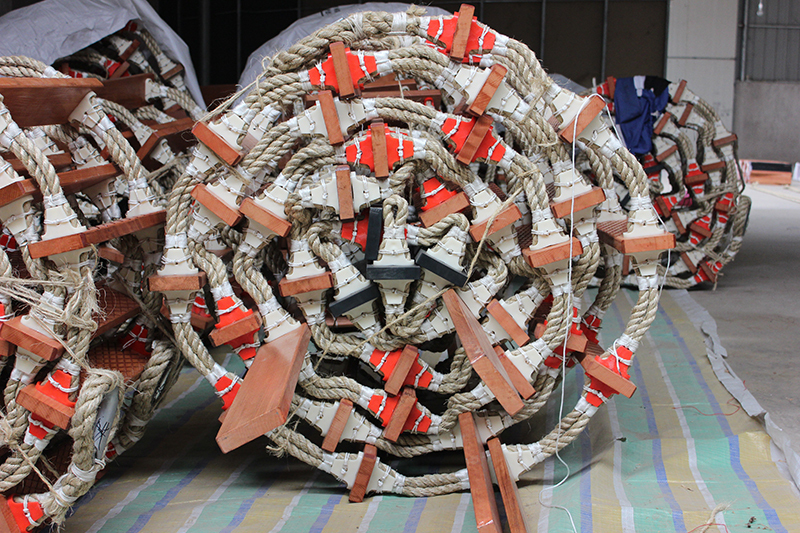 With spreaders step(Preventer Step) and magnet, pilot ladder could work safety under kinds of sea conditions. 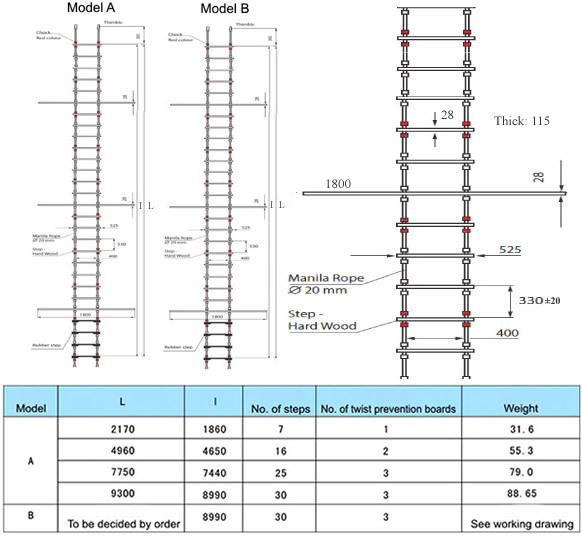 the design and construction of the pilot ladder is under new SOLAS amendment of ISO799-2004 and Panama 2009, replaced old SOLAS standard of IS0799-1986. 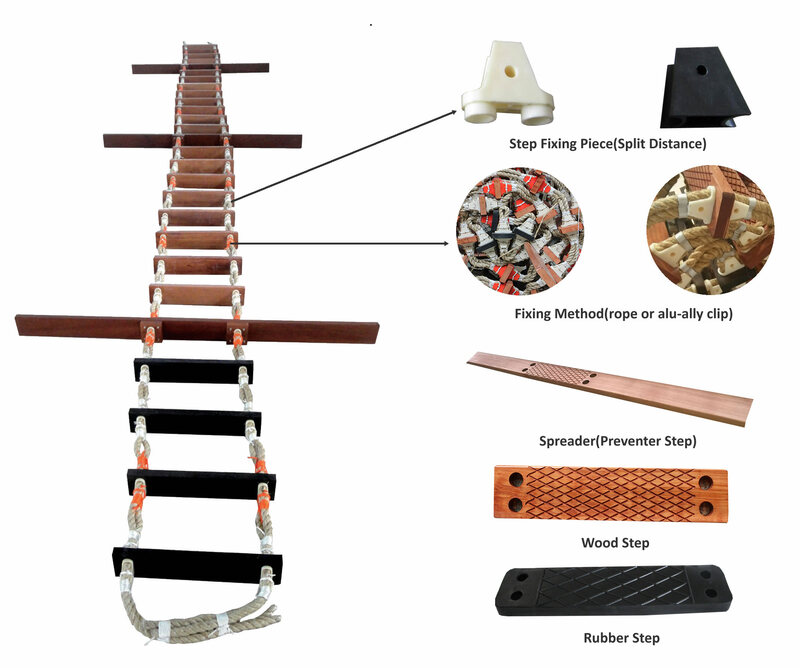 Made up of Rubber step(the last four steps), Wood step, Spreader(Preventer Step), Step fixing piece, rope. Ropes should be mold-resistant manila or heat-treated polyester rope with polypropylene core and should not be covered. Ropes shall be of a diameter which is no less than 57mm in circumference, and have a braking strength more than 24KN. The distance of inner edge of side ropes should be more than 400mm, the width of step is no less than 115mm, and thickness no less than 25mm. The steps should be non-slip, hard wood steps without knot and equally spaced at 330±20mm. The bottom 4 steps may be made f resilient synthetic raw material or rubber if it is of sufficient strength and stiffness. Rubber steps should be of the same required dimensions as the wooden steps. Spreader shall have the same specifications as normal steps, but length of spreader shall not be less than 1.8 meters. S15: total steps 15 pcs.